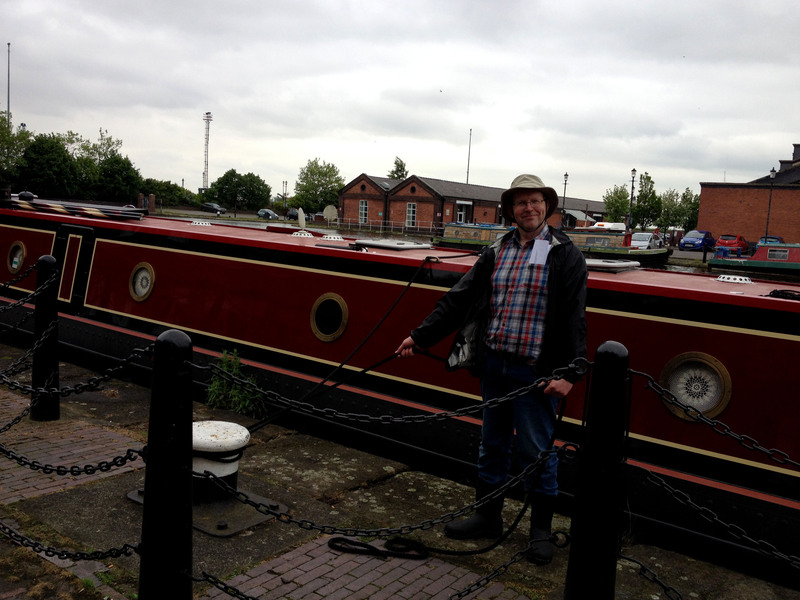 I know they keep old artefacts in museums so I thought I would “take Roy” along To Ellesmere Port today. Arrived this afternoon and for the first time I had to double moor up, with perfection may I add. They had a pirate theme going on today. 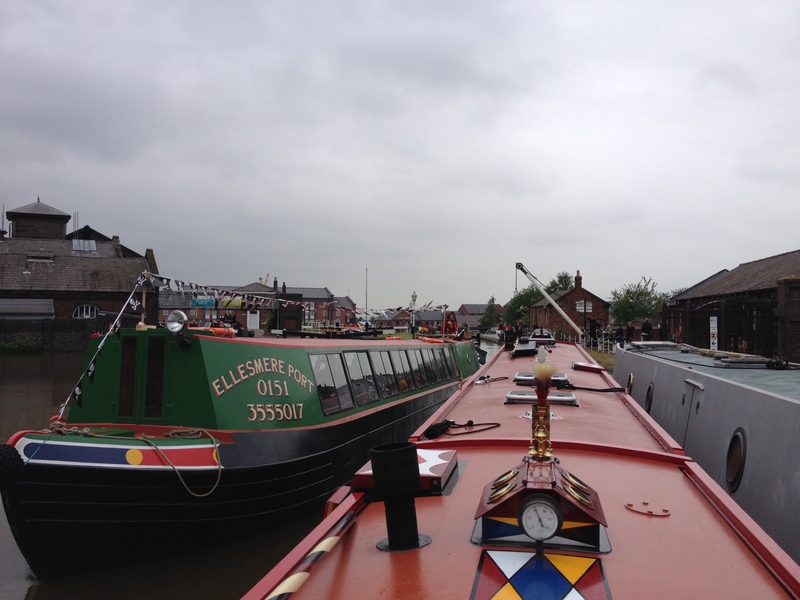 We have moored up in the basin for the night where there is a wedding celebration going on right opposite us. What a fab place to have a wedding. Q. Who did the paint job? 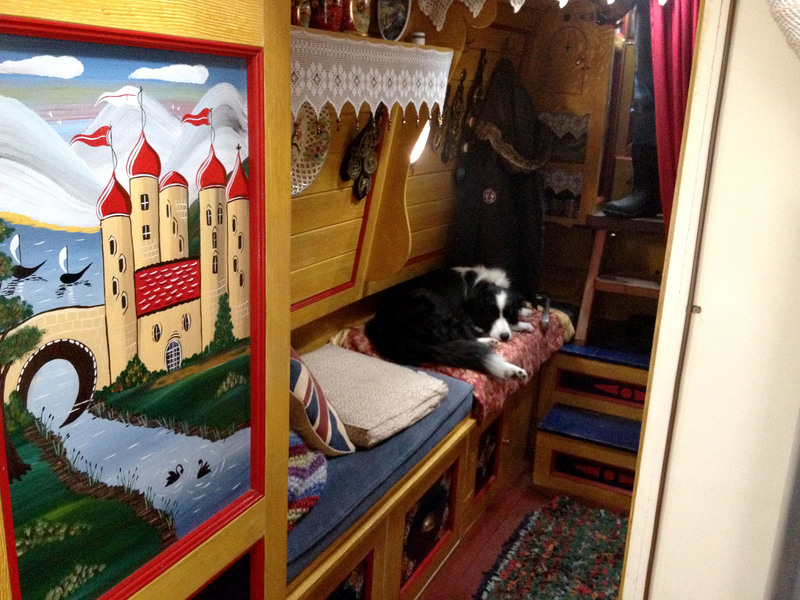 A: Sally Tooze, Willow Boat Painting & Martyn King, Sign Writing. 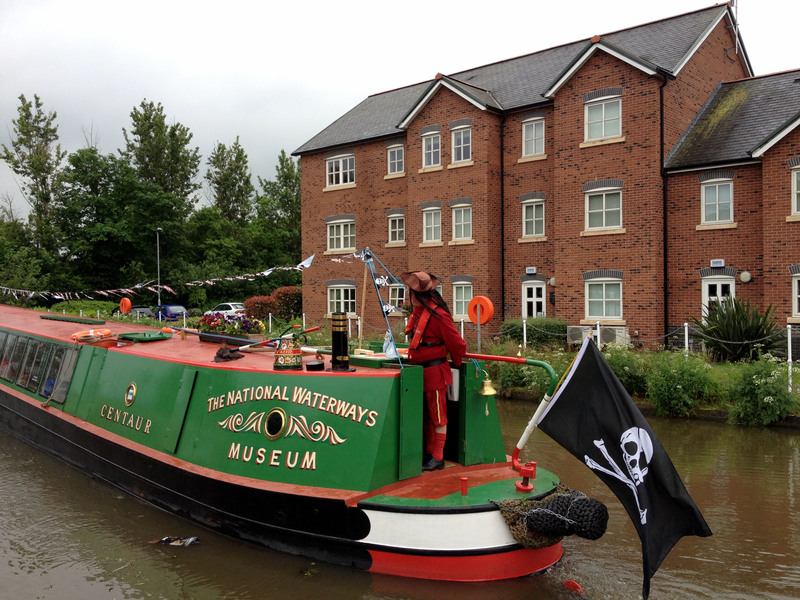 It is nice to be mooring in the heart of a boat museum tonight we feel like one of the attractions! Lots of silly photos taken along the way today, I think people call them “selfies”. It is the only way we get to take photos of ourselves when travelling. The things we do to amuse ourselves on our travels. It started to rain again this afternoon so Wish made a quick exit inside to keep dry. She sure has the best seat in the house. 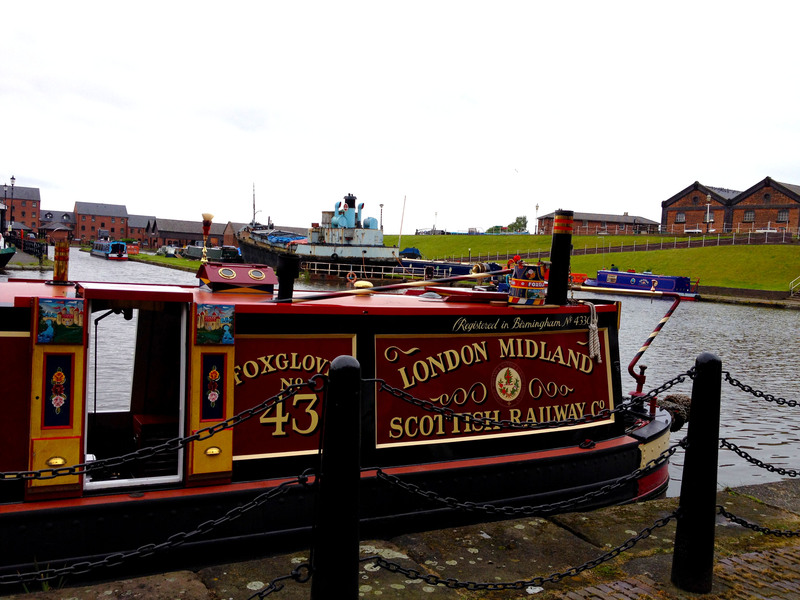 We have reached the end of the Shropshire Union Canal today so we either have to turn around or go along the Manchester Ship Canal. Apparently there is a lot of paperwork involved to take the second route so unfortunately we are heading our way back. Oh my goodness……..that means the dreaded staircase locks again!! Joy!! 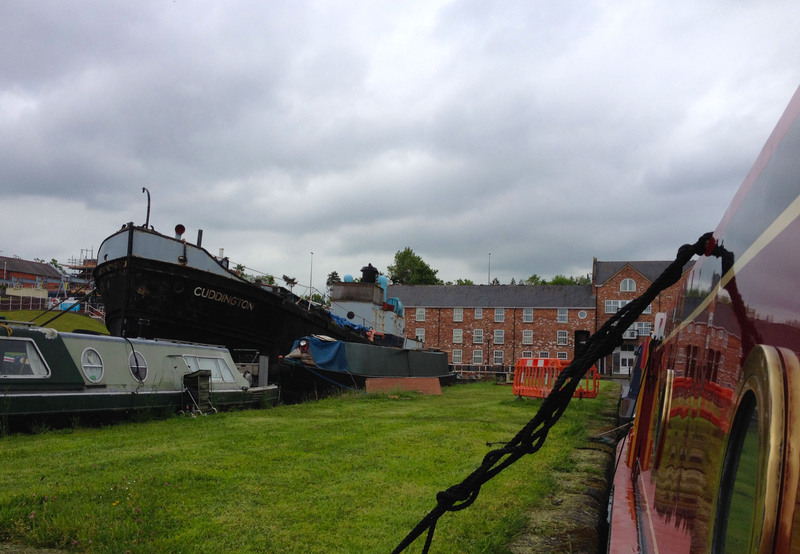 This entry was posted in Foxglove and tagged ellesmere port boat museum. Bookmark the permalink. 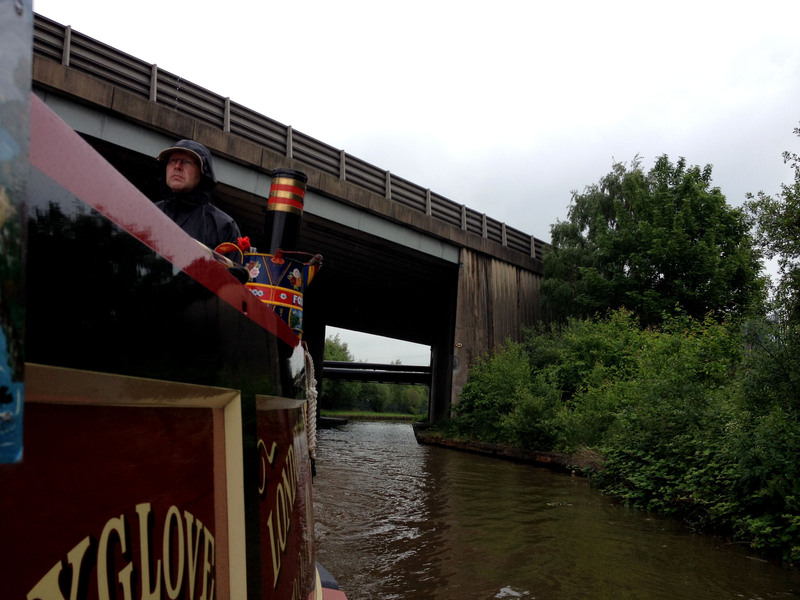 Heading back to Tattenhall cause someone has to catch up on some work to keep us in Happy Shopper bread and beans! Anderton Boat lift though the week after and a River Weaver. Looking forward to that. Let’s hope it is less scary than that staircase lock!